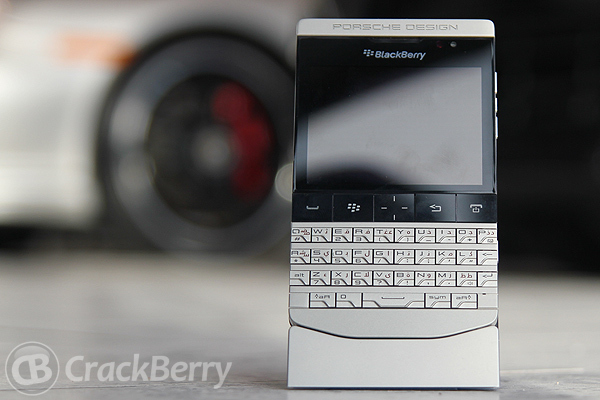 Porsche Design P'9981 BlackBerry named Smartphone of the Year! In Stuttgart, Germany a few days ago the BlackBerry Porsche P'9981 was honoured at the Plus X Awards by receiving the gong for Smartphone of the Year 2012. The Plus X Awards celebrate innovative technologies, as well as sports and lifestyle products that are "viable for the future and possess at least one 'Plus X' factor" (as quoted from the Award's website). The BlackBerry Porsche P'9981 won the award for combining the Porsche Design's classic and 'puristic' design with RIM's own innovative BlackBerry technologies. Axel Kettenring, Managing Director RIM Germany, says: "We are very proud to receive this seal of quality. Receiving the Plus X Award for the Porsche Design P'9981 smartphone confirms we are operating at the cutting edge with our demand for design and quality." Even if the Porsche P'9981 isn't a BlackBerry device that the majority of our readers will own, it's nice to see it win quite a prestigious award. Don't forget there contest is still open to those who would like a chance of winning CrackBerry Kevin's very own Porsche Design BlackBerry. Today is the last Day to enter, so if you'd like a chance to win check out the link below.